World's first 5G network to be launched before the end of the week. South Korea is officially set to be the world's first country to roll out 5G networks this week. The country's carriers have spent billions on their marketing efforts, trying to get as many customers on board, as possible. SK Telecom players (e-sports athletes), as well as a few K-pop stars and Olympic gold medallists, were showed off as the country's first 5G users. The country of 27 million people expects roughly one million of 5G users before the end of the year. South Korean tech giant Samsung was the first company to unveil a globally-available 5G smartphone, the Galaxy S10 and the foldable Galaxy Fold. 5G is the next step in mobile internet, offering more bandwidth and higher speeds. It is expected to enable a couple of highly anticipated features, including mobile game streaming, internet-connected cars and IoT in general, as well as remote control of crucial devices in virtually any industry. 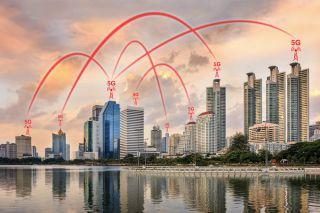 A lot of drama has been created around 5G, as the United States claimed Huawei, one of the companies building 5G infrastructure around the world, will install backdoors, allowing the Chinese government to spy on their political and economic opponents. Huawei has denied the accusations, saying they were utterly baseless.